Also rolling out today are additional technologies like Adobe Stock, which offers over 130 million royalty-free photos, images and illustrations at your fingertips from the company’s recent acquisition of Fotolia – and CreativeSync, which gives instant access to your photos, brushes, sketches, colors, fonts, design assets and more within your CC apps (desktop or mobile) so you can start your work in one place and finish it in another. The CC 2015 applications are full new builds of the tools and not just “in place” feature updates to the existing versions. But there’s been an important change in the CC Desktop App that normally manages downloads and install­ations of the programs. 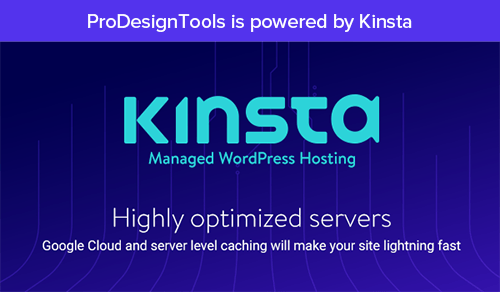 In previous releases, it installed new versions side-by-side with any previous tools that you had. Now, the default behavior is to uninstall prior CC (not CS) versions on your machine, so that you just have the latest. It will automat­ically migrate your presets, preferences and any compatible add-ons; however it will not migrate third-party plug-ins. If you do not want it to uninstall your prior versions – for third-party compatibility reasons or just to wait until you’re comfortable with the new CC 2015 version – then click on “Advanced Options” and uncheck “Remove old versions.” In all cases, per usual, you’ll have to reinstall any third-party plug-ins and extension panels after you upgrade. For more information and details, please see this guide. So, it’s up to you: if you choose, CC 2015 will install and run alongside CC 2014, CS6, CS5, or any older CS versions with no problem (and many people do this), or you can have the the older release(s) removed. Of course, if you use the CC 2015 direct download links instead of the Desktop App, then you have full control of everything yourself. 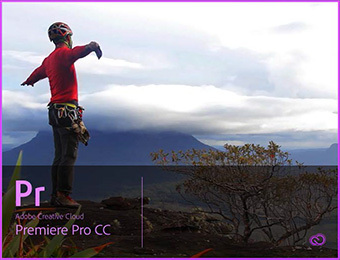 In any event, as a Creative Cloud member you always have access to older CC 2014, CC 2013, and CS6 versions available in an online archive for all subscribers to download and use if/when needed. So if you ever uninstall an earlier version that you want back later, it’s there for you. If you’re trying out CC 2015 and decide to join when the free trial period is up, you can easily convert your trial to ongoing use without reinstall­ing the software. For those who still want traditional (perpetual) licensing instead, Adobe continues to sell CS6 direct for those who wish it (the CS6 free trials are also still available), although keep in mind this software is from 2012 and will not be updated any further. Also critical to know is that the system requirements for Mac have changed significantly… Adobe advised two months ago that the CC 2015 release requires Mac OS X 10.9 (“Mavericks”) or higher. If you’re not running that yet, then you can get a free upgrade from Apple to the latest version of OS X (10.10). Or instead you can continue to use the older CC 2014 applications. For Windows, there are no big changes to the specs or requirements from CC 2014. For more details, see the complete CC 2015 System Requirements. 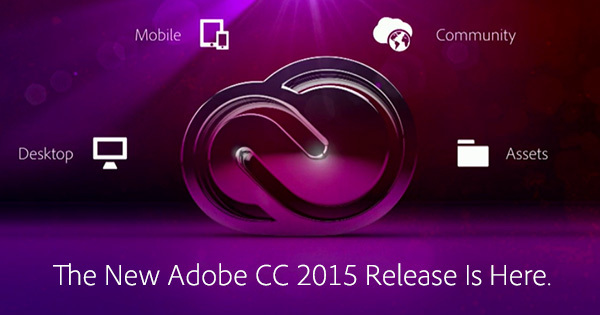 The complete CC 2015 release is now shipping and available for instant download. 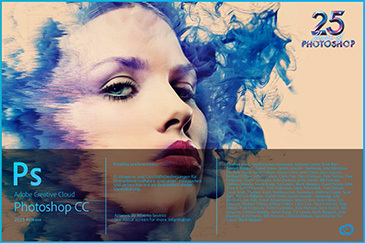 If you’re not ready for the complete Creative Cloud now ($49.99/month) and prefer just a single applica­tion like Photoshop CC 2015, then you can get any standalone CC tool for $9.99 or $19.99 a month with what’s known as a Single-App Membership, or (for both Photoshop + Lightroom) the CC Photography Plan. Education customers still receive significant savings of 60-70% off the regular CC prices, for students, teachers, and staff at all levels of school: primary, middle, secondary, college and university… See our guide on how to qualify. 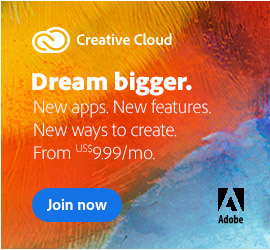 If you need to run CC on multiple computers for a group of users, then Adobe offers Creative Cloud for Teams for the most flexibility and ease of management plus two-year-long 30% upgrade discounts from Creative Suite. As a Creative Cloud member, all of these just-launched apps and services are available to you immed­iately. Just download and install the apps from your Creative Cloud account (com­pletely on your schedule), or start using the new or updated services. Everyone can also run every­thing for free for 30 7 days (or possibly longer), as all trial periods have been reset from CC 2014. Kind of disappointed in my computer’s performance with the new apps. CC 2014 apps ran fairly smoothly but the upgrades are kind of slow and clunky on it. It’s not the apps, it’s my computer. Even though it’s not professional worthy it’s still pretty powerful. So letting a clip run in AE as you make changes to it doesn’t really work for me when the clip freezes every time I do something. Think I’ll go back to 2014. Another thing to do is to make sure that your video card or GPU drivers are fully up-to-date (check with your hardware manufacturer). But yes, if you have a slower or dated machine then you can address that by reinstalling CC 2014 or CC 2013 or even CS6 if you wish. As a CC subscriber, you are entitled to use any or all of those releases instead. That way Adobe can still move forward in product development and evolution of new features even if you aren’t upgrading your older computer hardware yet. Even if you let CC Desktop uninstall PS CC 2014, all files that do not belong to the original installation are not deleted. So you just have to copy the contents of the PS CC 2014 plugins folder to the PS CC 2015 folder. No need to reinstall. This worked fine for all my plugins. Just, the On1 panels don’t work in PS CC 2015. I guess, it’s the same for the other apps. Also keep in mind that if your plug-in manufacturer does not yet support CC 2015, then you can always go back to using the CC 2014 version of the tool (redownload here) with your prior plugins. As you mentioned, the previous plugin folders would still be there. I have been subscribing to the Photoshop CC + Lightroom deal for several years, when will I get the 2015 upgrade? Hi Keith, normally the CC Desktop App manager/downloader indicates if any updates are available for all Creative Cloud tools. The only exception of course would be Lightroom 6/CC, which just came out new in April. If you’re having a particular issue with the free trials, then you can post it back here and we’ll try to help. Terrific resource – very helpful, thanks Ed! Important Information for Plugin Menu Glitch and Performance from Noiseware. The Noiseware menu glitch is a bug related to the Photoshop menu system. Any plugin in the 6th place on the external Filter list will exhibit this issue. We’ve informed Adobe and await their response. Thanks for the update Ed! Please keep us posted. Is this CC internet based? My customers would “shoot me” if one of their prices was discovered (leaked out to their competition) “pre-street’. Rightly so. Hi, it would be nice if you could have a pay-to-own type of subscription. We’ll pay $x per month, and if we reach the perpetual license price then we can keep the copy. That way even if we unsubscribe from CC, we can at least have a previous version of the software instead of being left with nothing. Or maybe you already have this type of subscription and I just didn’t see it yet? Thanks! Greetings Jess, thanks for sharing your thoughts. Adobe does not offer such a hybrid type of model, however you can still purchase CS6 direct (with traditional standalone perpetual licensing), if that’s what you prefer. On the flip side, the CS6 pricing is expensive – and with CC there is no enormous upfront cost just to get in the door… it’s more affordable for many folks. When I try to update Adobe CC I receive an error message “unable to connect to the server”. The apps I have registered, LR, PS and Bridge all update, but not the Adobe cc. Hey Robert, we’d suggest skipping the automated mechanism (which appears to be failing) and redownloading & reinstalling it directly using the CC 2015 Direct Download Links. You don’t have permission to access “…/AdobeProducts/KCCC/1/win32/ACCCx3_3_0_151.zip” on this server. That’s an easy one. You have to carefully follow the download instructions given on that page, otherwise the direct links won’t work and you’ll get that exact message instead. I’m a 21 year old guy from Germany, who loves to take photos, making videos and doing webdesign! The year 2016 is still young and I want to take my hobbies a bit further. I’ve tried out Adobe’s Software recently and it is cool to work with, but my problem is: I don’t have the funds to buy a subscription as I just can’t afford it. And since I’m not a Student anymore = not eligible for any discounts. There seem to be some Giveaways going on from time to time, but I’m always too late to the party. For example, the recent giveaway on Adobe’s Twitch channel (last week on Friday, 44.000 follower goal) was in the middle of the night… I was sleeping and didn’t know about it. Bummer. 1. Even if you’re not a student now, you may be able to become one again and be eligible for the education discount. 2. 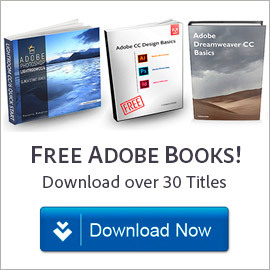 Adobe is running a new CC giveaway that is active right now if you’re interested. 3. 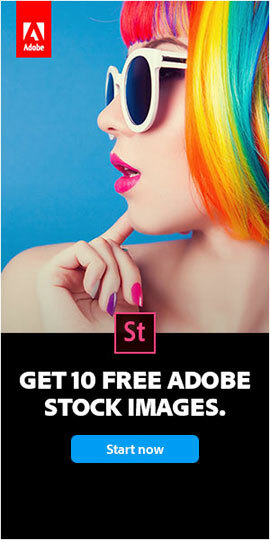 Here on ProDesigntools we offer Creative Cloud giveaways twice every year – once in the spring and once in the fall. Stay tuned and you’ll have more chances to win! 4. You’re right to avoid Adobe software piracy like the plague, as it’s very dangerous (and against the law). 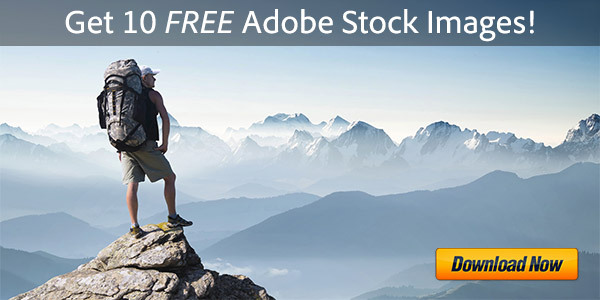 I just purchased Adobe CC on your website. Where and how can I download it?